With the discovery of gold in California in 1848, the Sacramento region became a national and international focus of attention, drawing a mass migration of gold seekers, miners and pioneers to the area. Sacramento County was incorporated in 1850 in response to the needs of a growing population. The County is one of the original 27 counties of California. Its largest city, the City of Sacramento, became the capital of the State of California in 1854. Sacramento also serves as the County seat. The County Charter was established in 1933 and still in use today. Members of the Board of Supervisors adopted the County Seal in January 1861. 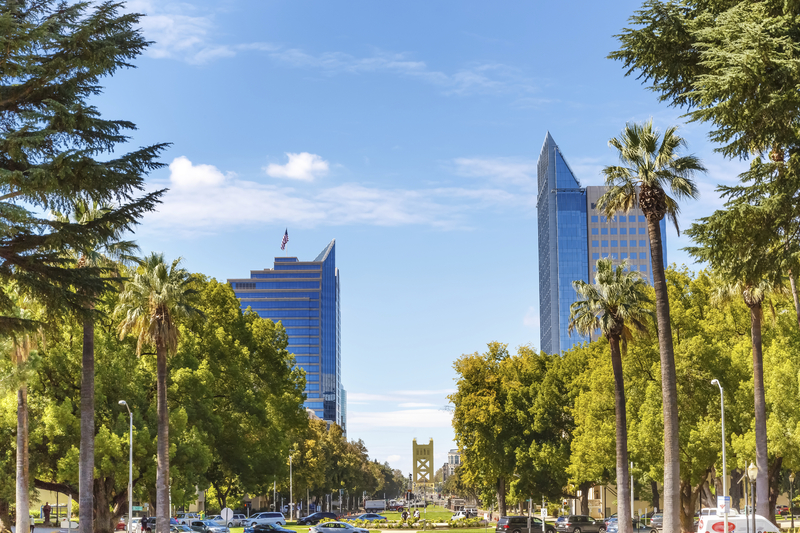 The people of the Sacramento County region have long been innovative and energetic in their approach to building the community and advancing commerce. During the Gold Rush era, Sacramento served as a center for commerce and agriculture, as well as a major supply distribution point. The area was a terminus for wagon trains, riverboats, and stagecoaches. Construction of the Central Pacific Railroad began in Sacramento and continued east to join the Union Pacific line in Utah in May 1869, forming the first transcontinental railroad and opening a major transportation route that would link the United States from the east and west. Communications also opened up with the arrival of the Pony Express and introduction of the telegraph. By the early 1900’s, the use of automobiles was growing rapidly, and along with it came the construction of roads and bridges. Another major link between the east and west coasts, the Lincoln Highway, ran through Sacramento County. By the end of World War I, the area housed an airfield and pilot training school. Bi-wing airplanes were being built in northern Sacramento. After the war, many of the planes were converted to civilian use. From that time on, aviation has grown to become a vital part of the region’s development. Today the County is home to the Sacramento County Airport System, with includes the Sacramento International Airport. Several military installations were located in the region during the 1900’s. While the bases have closed, two former military locations, Mather and McClellan, have now become active business centers within the County.